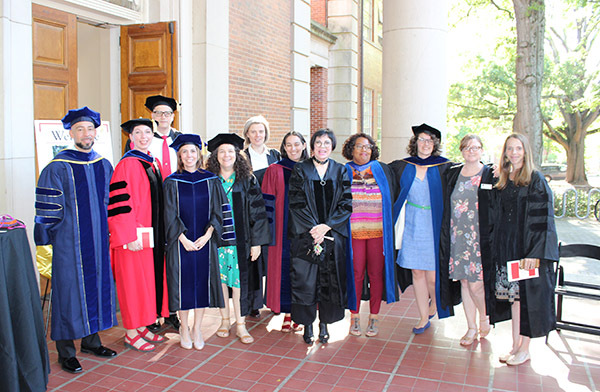 Faculty members of the English Department are recognized as distinguished scholars and artists, committed teachers, and accessible and devoted mentors. Our intellectual and artistic interests vary widely, addressing more than a thousand years of cultural experience from a diverse range of critical approaches. Our faculty’s teaching success has been noted with a variety of teaching awards, including UGA’s most prestigious, the Meigs Award for Excellence in Teaching. For more detailed information about the strengths and research areas of our faculty, please see a list of our Graduate Faculty. A highly talented and productive group of graduate students call UGA’s English department home. Here, both M.A. and Ph.D. students enjoy the benefits of working closely with a dedicated and distinguished faculty. Learn more about our current Graduate Students, their work, and their areas of specialty.